Roger Frank is an Honorary Professor of geotechnical engineering at ENPC (National School for Bridges and Highways of France). Roger Frank has devoted his entire career to the ‘Ponts et Chaussées’ (the French Highway Administration). 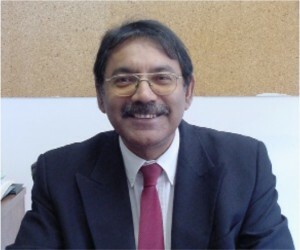 After 20 years with LCPC (Central Laboratory of the French Highway Administration, now called ‘IFSTTAR’), he was, from 1993 to 2002, the Director of CERMES, a teaching and research laboratory, common to ENPC and LCPC. In 1997, he was promoted to the rank of Professor in geotechnical engineering at ENPC. The main field of expertise of Roger Frank is in situ testing and foundation engineering. From 1998 to 2004, he was the Chairman of the European committee in charge of Eurocode 7 on ‘Geotechnical design’. He was the Vice-President for Europe of the International Society for Soil Mechanics and Geotechnical Engineering (ISSMGE) for the period 2005 to 2009 and he was the President of ISSMGE for the period 2013-2017. ABSTRACT: Eurocode 7 on ‘Geotechnical design’ is now being used in many countries throughout Europe. Part 1 devoted to the ‘General rules’ has been published in 2004. National Annexes and accompanying documents have been prepared for implementation in the various European countries. Part 2 on ‘Ground investigation and testing’ was published in 2007. In 2015, the drafting of a revised version was launched. After describing shortly the history of the development of Eurocode 7, the contents of the two present documents are given and the main concepts are described (verification procedures and geotechnical categories, characteristic values, derived values, ULS verifications, SLS verifications and allowable movements of foundations). ABSTRACT : After mentioning the important aspects of pile design following Eurocode 7 (EN 1997-1) and briefly listing the contents of the present French standard for deep foundations (NF P94-262, 2012), this presentation focuses on the ULS bearing capacity from PMT and from CPT results and the assessment of the corresponding ‘model factors’ gRd given in the French standard. The PMT methods for predicting the displacements under axial loads (“t-z” method) and under transverse loads (“p-y” method) are also briefly described. 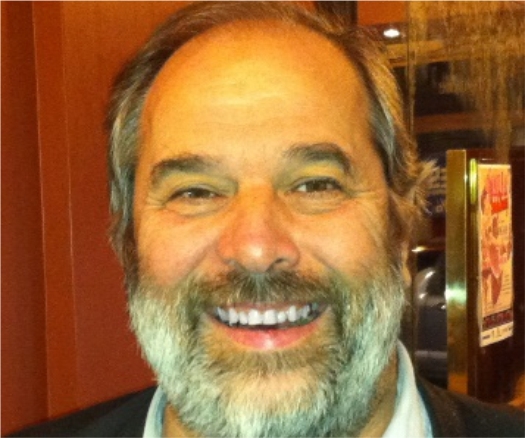 Dr. Alejo O. Sfriso has more than 25 years of expertise in geotechnical consulting for the design, construction and operation of a wide range of infrastructure and mining projects in more than 15 countries, with focus on the optimization of construction procedures using numerical modelling. His academic record is: +25 years as faculty member; +75 papers; +30 lectures; +20 post-graduate courses and seminars in five countries. He is the professor of Soil Mechanics and Geology in the University of Buenos Aires and Vice-President for South America of the International Society for Soil Mechanics and Geotechnical Engineering (ISSMGE). ABSTRACT: The geotechnical community in Argentina is embarked in the production of a code for the design of foundations based in LRFD standards. 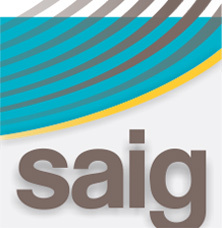 This initiative served as a motivation for reviewing the industry procedures for the determination of soil properties, the accuracy of the bearing capacity formulas, the relevance of bearing capacity as a realistic Ultimate Limit State for foundations, and the estimation of the effects of construction procedures on foundation performance. For all these aspects of foundation design, the uncertainties embedded in each testing, design and calculation procedure are analyzed and discussed, because a factor must be eventually applied in each case. The lecture is aimed at sharing this experience with sister societies which are also interested in producing or upgrading their codes for foundations. Being a subject which is under discussion in several countries in Latin America, the opportunity exists to produce a code with an international outreach that will help our geo-professionals to integrate their experience and capabilities and to strengthen the geotechnical design expertise in our countries. ABSTRACT: LRFD design methods apply load factors to loads acting on foundations and resistance factors to bearing capacities, these ones being specific to the formula in use. When employing numerical modelling for the design of foundations, no bearing capacity formula exists, and therefore there is -in principle- no practical way of determining a “factored” bearing capacity. This issue is easily circumvented when reduction factors are applied to the material parameters only, as in Eurocode DA 1/2 or DA 3. However, in this case, there is no allowance for taking into account the uncertainty of the procedure itself. In this lecture, the uncertainties associated with the use of numerical methods for designing foundations are discussed, the advantages and shortcomings of the different design techniques are analyzed, and a few recommendations are given to allow numerical methods to be applied to the design of shallow and deep foundations while keeping the reliability of the design within its objective range. ABSTRACT: Foundations on rock for structures subject to overturning, eventually need the employ of passive or active anchors, in order to minimize their size. This solution must be justified for its use in major projects, and its geotechnical design can be very busy since it must be done foundation by foundation. Different design methods for active anchors, and the use of interaction nomograms for passive anchors that facilitate the task of geotechnical engineers are presented in this conference. EDUCATION: 1965 – 1971 – Licenciated in Civil Engineer (6 years course)(with honors). | 1975 – 1977 – Master of Engineering (with high honors). 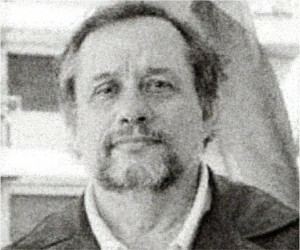 | 1979 – 1983 – Specialist in Geotechnique (Ph.D Degree) (with high honors). | 1992 – Director of Research (Full Professor degree) (with high honors). POSITIONS: ISSMGE Board Member (2017-2021) | ISSMGE Immediate Past President (2009-2013). | ISSMGE President (2005-2009). | ISSMGE Vice President for Europe (2001-2005) | Full Professor of Geotechnical Engineering of University of Coimbra. | World Bank Consulting for Dams Safety (2013-2015). | Invited Professor of Master Courses “Soil Mechanics” and “Engineering Geology” of New University of Lisbon (1983-1995). | United Nations Consulting for Design and Instrumentation for Dams (1988-1992).| Invited Lecturer of University of California, USA (1992-1994). | Chairman of TC4 “Earthquake Geotechnical Engineer “Committee of ISSMGE (1994-2000). 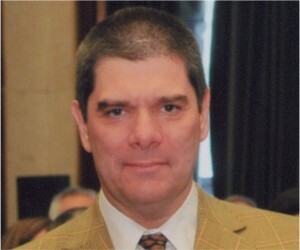 | President of Portuguese Society for Geotechnique (1996- 2000). Professional Experience: Consulting Engineer of 450 major projects in Dams, Power plants, Bridges, Tunnels and Quay Walls, in Portugal, Angola, Argelie, Brazil, Cabo Verde, China, Dominican Republic, Ecuador, Guine- Bissau, Guine Ecuatorial, India, Lebanon, Malawi, Morocco, Mozambique, Senegal, Syria, Tunisia, Uganda, Venezuela and Zambia, covering field and laboratory testing, dynamic analyses, earthquake engineering, numerical analyses, ground improvement, slopes, special foundations, instrumentation and safety evaluation. Conferences: He has presented more than 350 State-of-the Art Lectures and Special Lectures in 80 countries of the 5 Continents. Awards and Honours: He has received more than 50 international Awards including American Biographical Institute USA, “Special Volume for the Contributors of Earthquake Engineering, Nagadi Lecture by Indian Geotechnical Society, Széchy Lecture by Hungarian S M Society and Hungarian Academy of Sciences, Nonveiller Lecture- by Croatia Geotechnical Society, Sukle Lecture by Slovenia Soil Mechanics Society, Chin Lecture by Huanzhou University (China), Qian Jia Huan Lecture by Hohai University (China) and Chin Fung Kee Memorial Lecture by Institute of Engineers of Malasia. Editorial Boards and Reviewer: Associate Editor of International Journal of Earthquake Engineering (since 2017) | Editor in Chief of International Journal of Case Histories (2011-2017) | Co-Editor of Geotechnical and Geological Engineering Journal, Springer Publisher(2005-2011) | Member of Editorial Board of several Journals, namely: “Geotecnia”, “Bulletin of Earthquake Engineering”, “Acta de Geotecnia”, “International Journal of Geotechnical Engineering”. | Editor of Proceedings of 4 International Conferences. Publications: He is author or co-author of 500 Technical and Scientific Reports, more than 180 papers for national and international conferences and journals and has contributed for 10 books. ABSTRACT: The definition of seismic action by Eurocode 8-Part 1 based in elastic response spectrum, ground acceleration time-histories and related quantities (velocity and displacement), and artificial accelerograms is addressed. The characterization of dynamic properties by laboratory and field tests and classification of deposits is presented. The site effects, the neotectonic conditions, the directivity effects, the frequency and pulses effects, the attenuation laws, the shape of valley, the topographic effects and importance categories are referred. Also a comparison is done between Eurocode 8 and the geotechnical seismic codes adopted in different regions, in order to highlight the similitude and differences. The education on earthquake geotechnical engineering, the role of Seismic Research Centres are discussed. ABSTRACT: For the stability verification of ground slopes EC8 recommends simplified amplification factors for the seismic action to incorporate the topographic effects. Following Part 5-EC8 “An evaluation of the liquefaction susceptibility shall be made when the foundations soils include extended layers or thick lenses of loose sand, with or without silt/clay fines, beneath the water level, and when such level is close to the ground surface”. The magnitude correction factors in EC8 follow the proposal of Ambraseys (1988) based in field tests that are different of the values proposed by Seed and Idriss (1982) and from the values proposed by NCEER (1997) based in laboratory tests. For liquefaction evaluation EC8 recommends the use of SPT tests and CPT tests. Due to the restrictions of pseudo-static methods in predicting seismic displacements of retaining walls new methods for predicting displacements were proposed that allow the design of more economic structures. In general for the Soil-Structure Interaction (SSI) the design engineers ignore the kinematic component, considering a fixed base analysis of the structure. The Eurocode 8 states:”Bending moments developing due to kinematic interaction shall be computed only when two or more of the following conditions occur simultaneously: (i) the subsoil profile is of class D, S1 or S2, and contains consecutive layers with sharply differing stiffness;(ii) the zone is of moderate or high seismicity, a>0.10;(iii) the supported structure is of important category I or II. Other topics that were not addressed in Eurocode 8, such as the response of solid waste landfills and the behaviour of underground structures are discussed. Some future trends are pointed out. A summary of conclusions is presented.